January 6, 2019 will mark the 100th anniversary of Theodore Roosevelt’s death. As some of you know from previous posts, I am very much a TR fan. That being said…this year’s reading plan is going to be all about Teddy. I have a host of biographies that I will be reading, including his own autobiography. Having already read Robert Morris’ trilogy on Roosevelt’s life, I will be reading individual events about him this year including his time on the River of Doubt, the Spanish-American War (Rough Riders), and his safari in Africa. 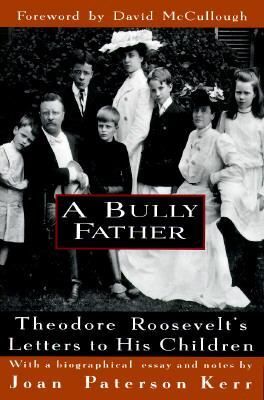 I will be starting January 1 with A Bully Father: Theodore Roosevelt’s Letters to His Children by Joan Peterson Kerr (forward by David McCullough) and the aforementioned Autobiography. On top of these biographical moments of TR, I will also be reading many of his works, including American Ideals, The Winning of the West, and America and the World War. My hope is to read one of his works every month and do a book review on each one, so stay tuned throughout the year.